The FIG Annual Review is an overview of major activities and achievements of FIG and the main medium for external communication. 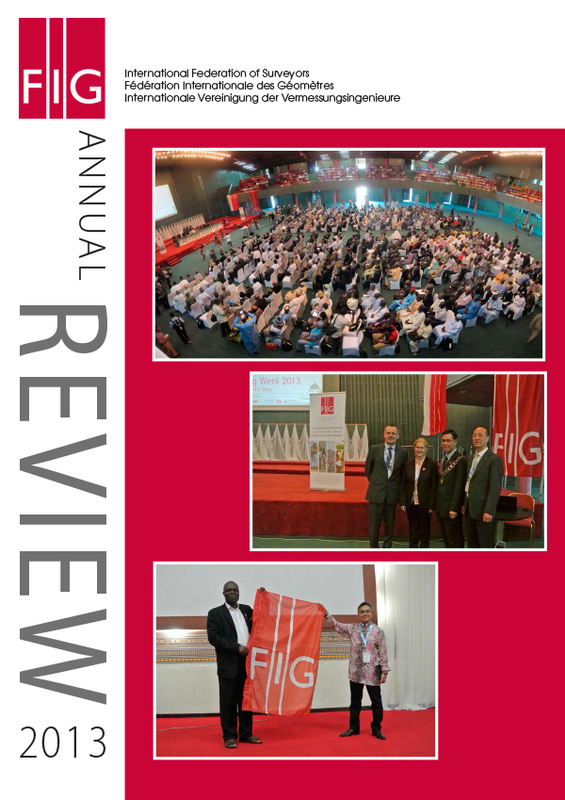 The FIG Annual Review 2015 is available as a printed version from the FIG Office. To receive your personal copy, please contact the FIG office, email: FIG@fig.net. Hard copies will be mailed to all members together with the minutes from the General Assembly in Christchurch, New Zealand in May 2016. 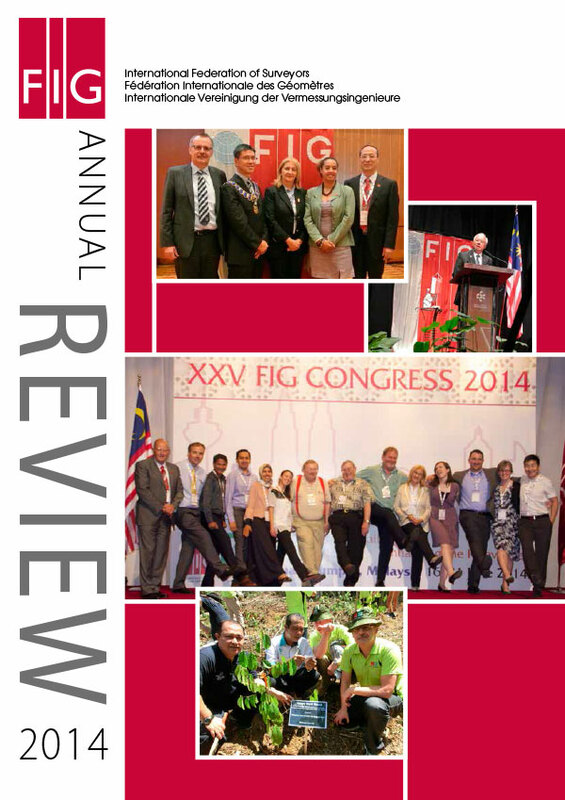 The FIG Annual Review 2014 is available as a printed version from the FIG Office. To receive your personal copy, please contact the FIG office, email: FIG@fig.net. Hard copies will be mailed to all members together with the minutes from the General Assembly in Sofia, Bulgaria in May 2015. 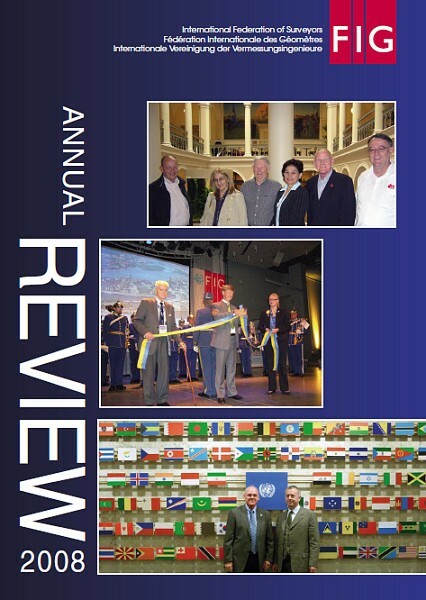 The FIG Annual Review 2013 is available as a printed version from the FIG Office. To receive your personal copy, please contact the FIG office, email: FIG@fig.net. Hard copies will be mailed to all members together with the minutes from the General Assembly in Kuala Lumpur, Malaysia in June 2014. The FIG Annual Review 2012 is available as a printed version from the FIG Office. To receive your personal copy, please contact the FIG office, email: FIG@fig.net. Hard copies will be mailed to all members together with the minutes from the General Assembly in Abuja, Nigeria at the end of May 2013. 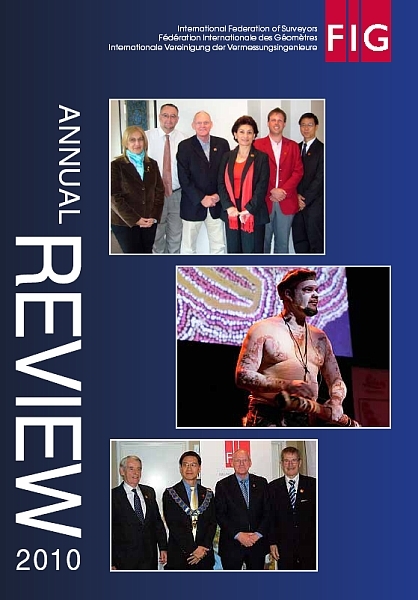 This year's Annual Review is also available on the FIG web site as a .pdf-file (Adobe Acrobat-file). 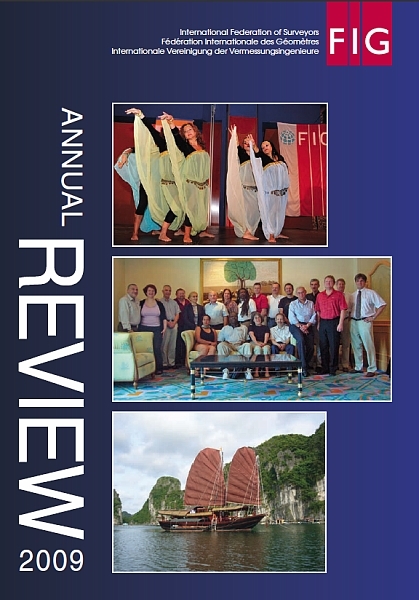 The FIG Annual Review 2011 is available as a printed version from the FIG Office. To receive your personal copy, please contact the FIG office, email: FIG@fig.net. Hard copies will be mailed to all members together with the minutes from the General Assembly in Rome at the end of May 2012. 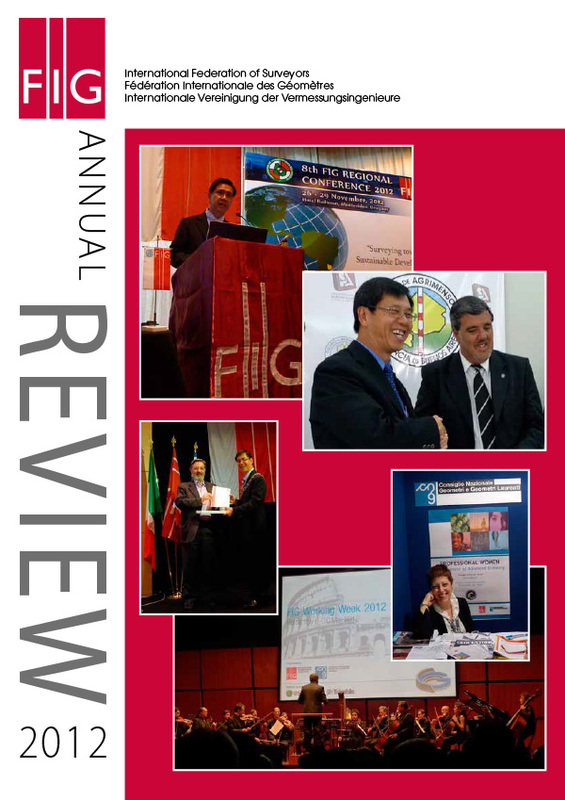 The FIG Annual Review 2010 is available as a printed version from the FIG Office. To receive your personal copy, please contact the FIG office, email: FIG@fig.net. Hard copies will be mailed to all members together with the minutes from the General Assembly in Marrakech at the end of June 2011. 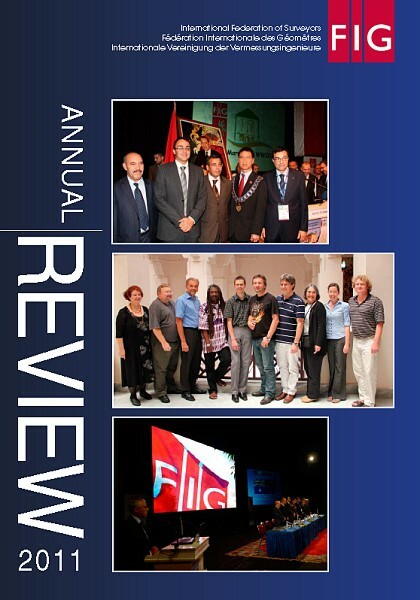 The FIG Annual Review 2009 is available as a printed version from the FIG Office. To receive your personal copy, please contact the FIG office, email: FIG@fig.net. 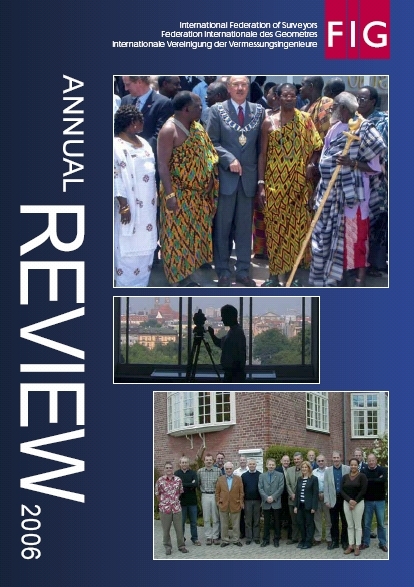 The Annual Review is also available on the FIG web site as a .pdf-file (Adobe Acrobat-file). 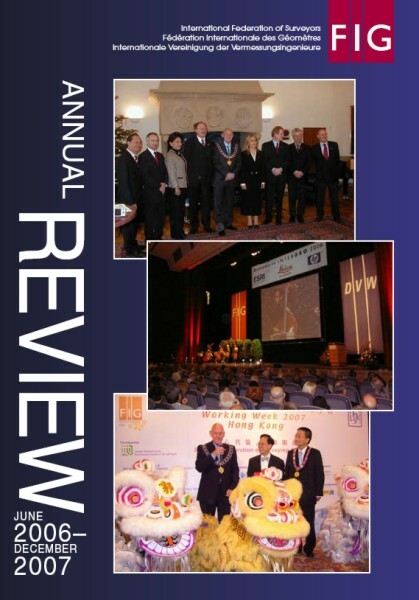 This year's Annual Review is also available on the FIG web site both in html-format and as pdf-file (Adobe Acrobat-file). The FIG Annual Review 2000 - html-format. The FIG Annual Review 1999 - html-format.